Teen Amateur Of The Week: Dawson Has Cheese Grater Abs At 15! It was obvious to Dawson that girls like guys with abs and muscle, so he gave them what they wanted. Get the formula that built his shredded physique at age 15! I was always an extremely skinny kid and got bullied in sixth grade. I was 60 pounds, 5 feet tall, and had to do something about it. I started doing sit-ups and push-ups at home and got a little bigger, but nothing extreme. I started going to football weight training at school in eighth grade, and then to the gym. In October 2013, I learned what to eat, how to train, and devoted myself to the gym. I keep learning more every day and am extremely proud of the progress I made the past year. Now all I to do is lift. I like to do a three-day split of legs, push, and pull with high volume and intensity. More frequency helped my strength gains on heavy compound movements. That's when I really started to grow. Dawson has an advantage with crazy mobility and flexibility that he developed from years of freestyle breakdancing! "I plan to continue bulking up until age 18, and then cut down for my first men's physique competition." 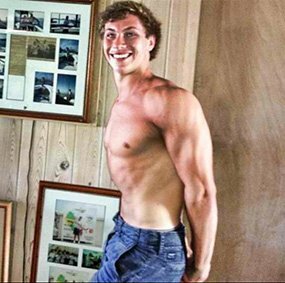 One of my best friends was always lean and the girls stared at him just because he had a six-pack. I was jealous, so I got in the gym, pushed hard every day, and fell in love with the amazing sport of bodybuilding. Jeff Seid, Greg Plitt, Zyzz, and Steve Cook have always been people I look up to. I go to an awesome gym called Extreme Fitness and the people there gave me great advice. I got advice from Russian powerlifters and very experienced bodybuilders. I plan to continue bulking up until age 18, and then cut down for my first men's physique competition. I might compete sooner, but I want to kill it when I hop on stage. 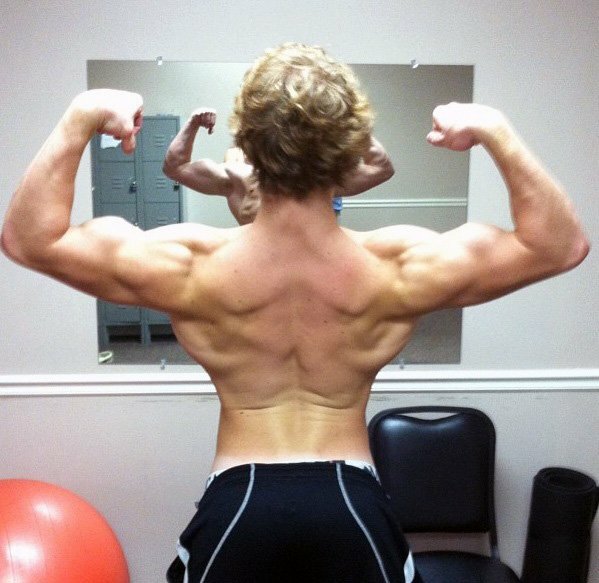 One day I hope I can be like Jeff Seid or Steve Cook. Be patient and stay consistent. There were times I didn't grow or see gains at all, but I never give up and see the best results of my life right now. It's definitely Steve Cook. He's extremely modest and seems like a nice guy. Plus, he's massive. I've always done my own training, but I always come to Bodybuilding.com to read about nutrition, diets, and recipes so my food never gets bland and boring.